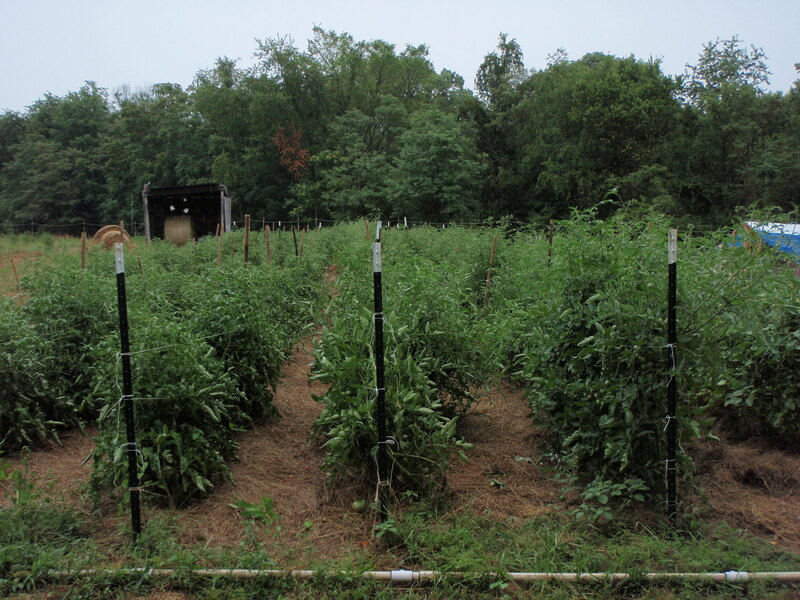 These photos are long overdue- if anyone is still glancing at the blog from time to time, here are some of our farm this overly hot and dry year in Virginia. Photo 1: The tomato patch- The lack of rain gave us complete control over the watering situation of our heirloom tomatoes and the first round was spectacular. The best I have seen and tasted in many years. We have about 1000 plants here- half cherry and half heirloom. 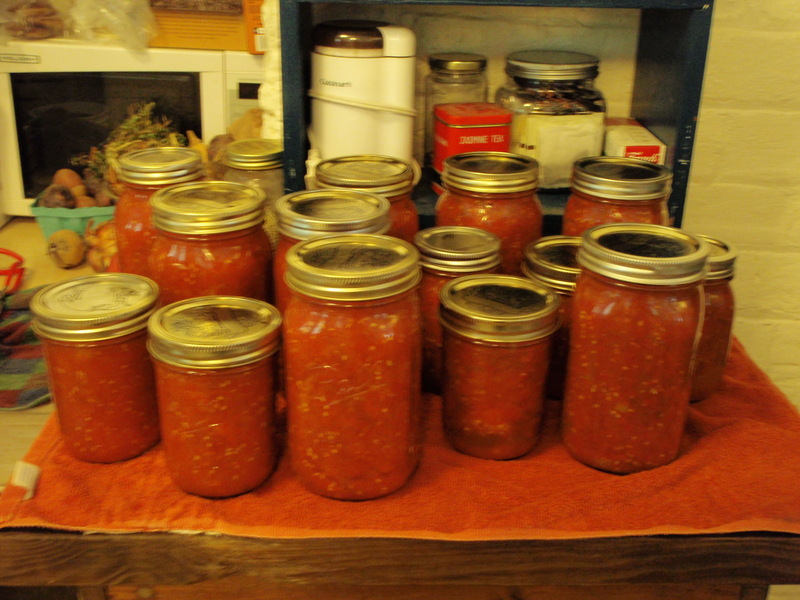 Photo 2: Our gorgeous tomato harvest! Photo 3: Our greens and roots during April and May. The intense heat and drought caused these to shrivel prematurely. Lesson learned- lay drip line down on everything planted, even if it is raining all of the time when you plant. These beds were quite generous! 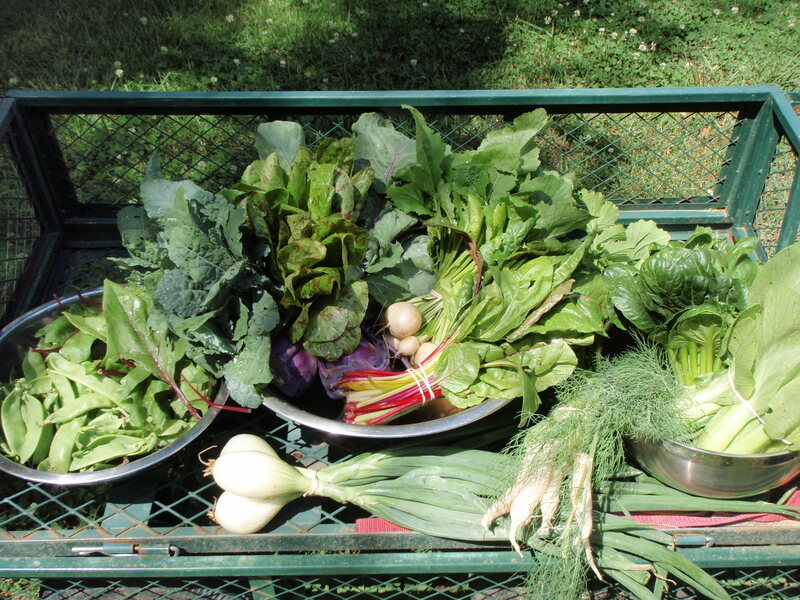 Photo 4: Our first CSA box- Bordeaux Spinach, Snow Peas, Haikuri Turnips, Swiss Chard, Toscano Kale, Baby Bok Choy, Kohlrabi, Tat Soi, Dill, Spring Onions, Lettuce and baby Daikon Radishes. 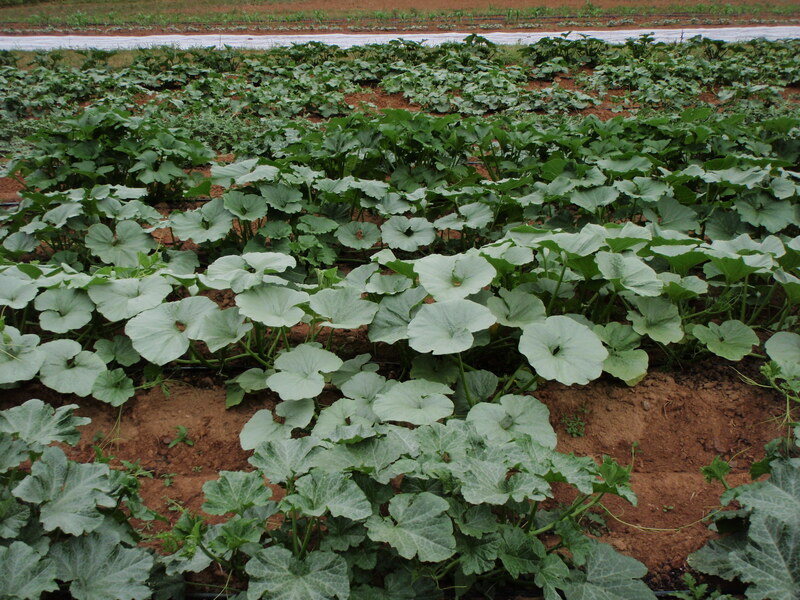 Photo 5: The squash, melon and cucumber patch. The plants are up to my waist now. The squash vine borer has attacked the summer squash- we are dealing with round two of the infestation. Our treatment is to make a slit at the base of each vine where the worm has drilled its way in and spray Bt into the stem. The worm is killed and the squash plant heals itself- a certain check in production, but otherwise an end to the plants life. 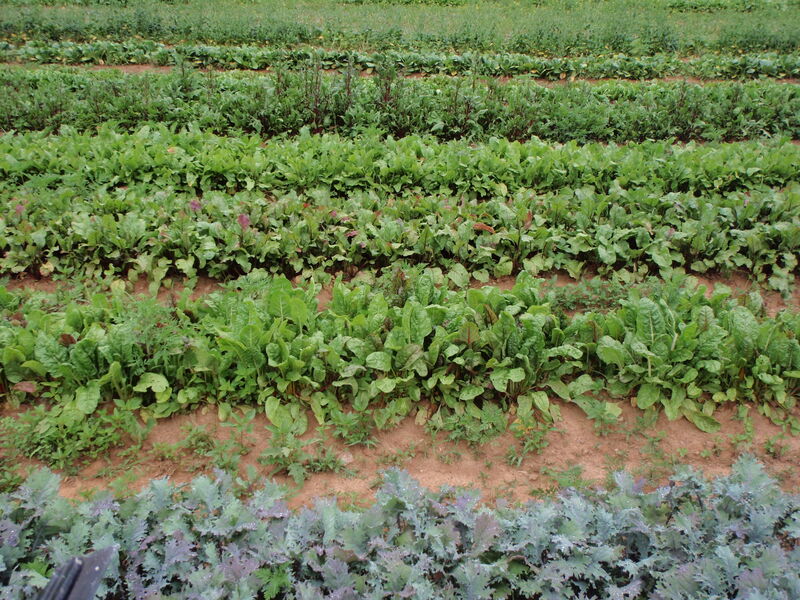 For our next planting we will cover the plants with row covers until the plants begin to flower to prevent the borer wasp from laying any eggs. The stink bugs should be kept off this way too. Photo 6: Our chickens! 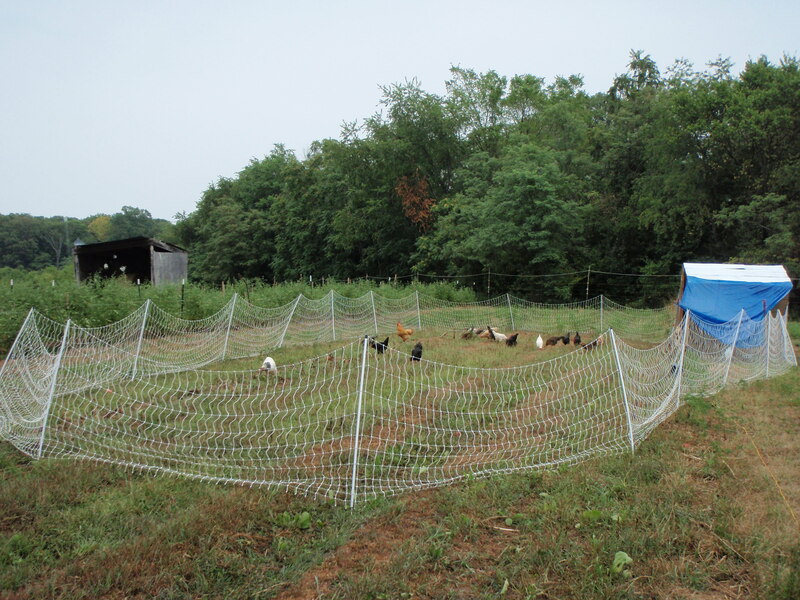 They range around on our post-harvested field during the day and are secured in their chicken tractor on the right during the night. The predators on our farm are quite active. We found a hawk on the turkey pen today! We scared him away from the turkeys, only for him to find the pastured chickens. Luckily we have a rooster who sends his gals a warning to run for cover in the tractor. The white netting more or less keeps the chickens contained, with a few strays here and there, but does a great job keeping curious dogs out. 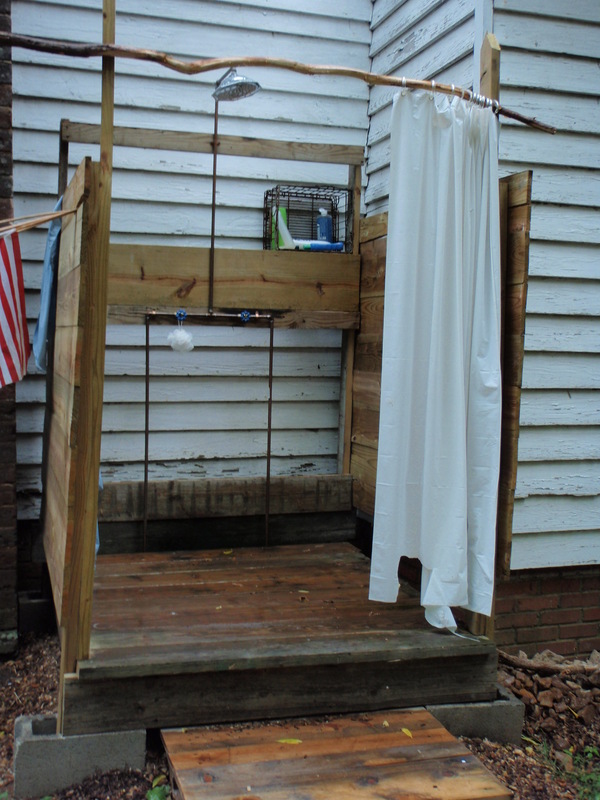 Photo 7: The outdoor shower- cool down and clean up time. Haven’t used the indoor in months! 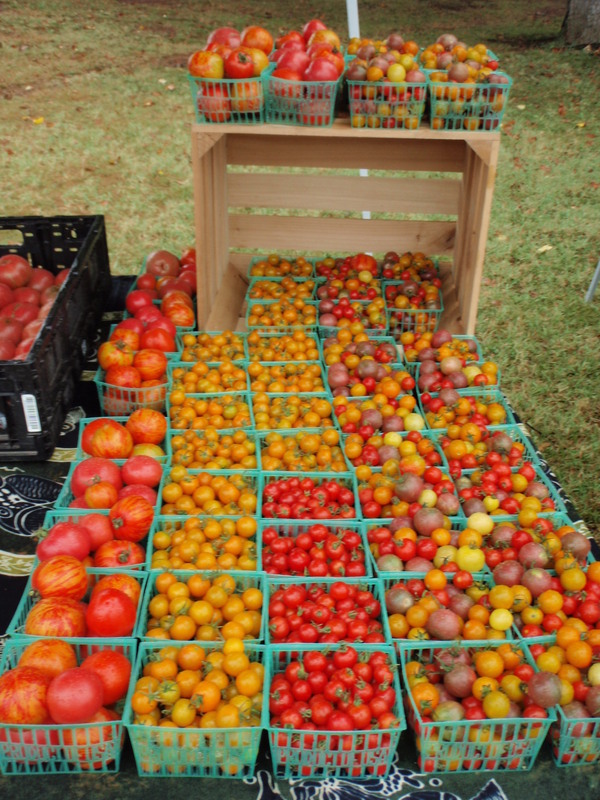 Photo 8: Canned Heirloom Tomatoes- you won’t find these in the grocery store! Another part of the joy in growing your own!